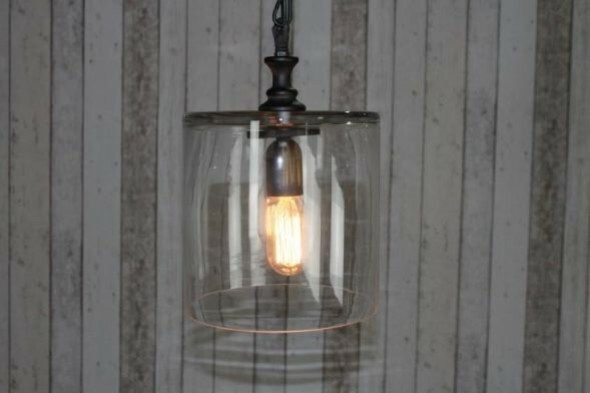 This fantastic glass bubble light fitting is part of our extensive new lighting collection. 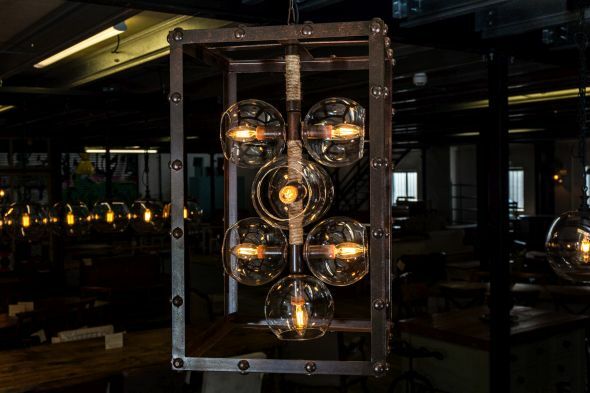 With its industrial look, this large ceiling light would be a standout feature for a range of interiors – a great piece for an urban warehouse apartment, large kitchen or a focal point for a restaurant. 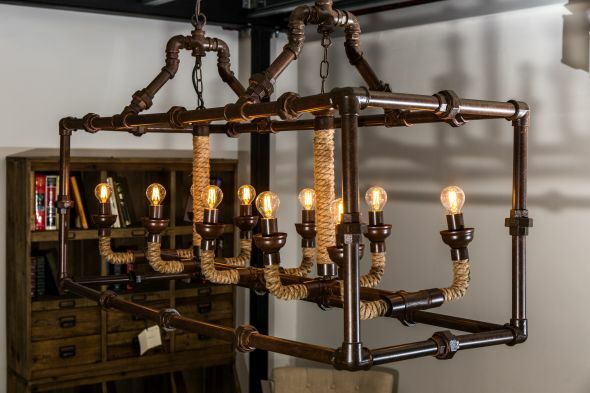 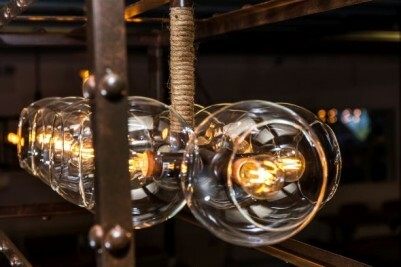 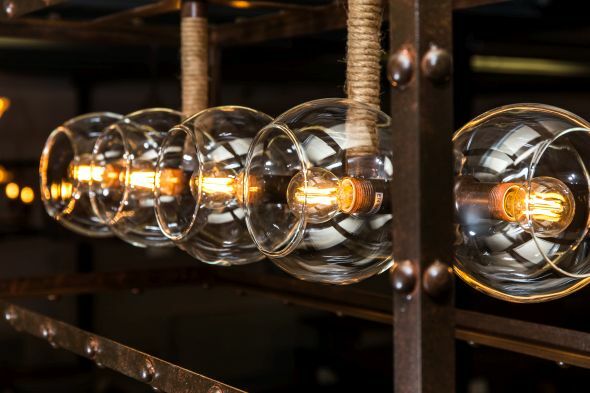 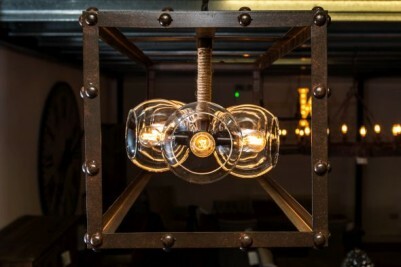 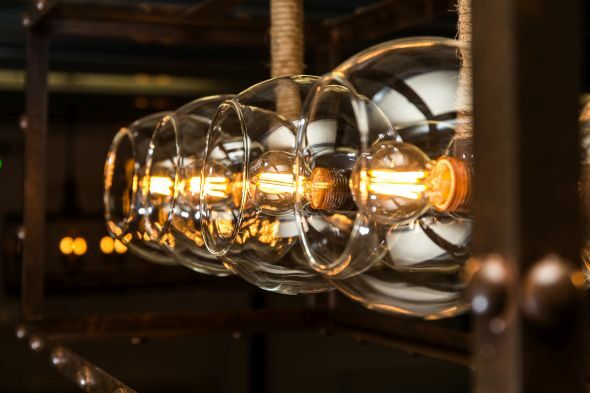 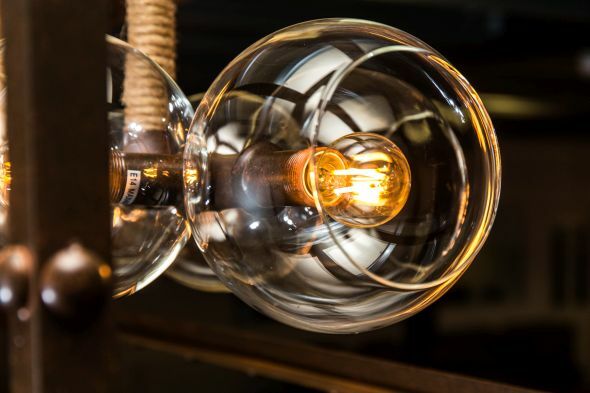 The light fitting has space for 10 bulbs contained within glass bubble style shades, and has a steel cage-like surround with a lovely aged and distressed finish. The light is suspended from the ceiling by two metal chains, which you can adjust to suit your requirements. Browse our website to see our full range of lighting, or click on the links below. We do recommend that this light is fitted by a qualified electrician; please be aware that bulbs are not included. As this is a fragile light, it must be delivered by a courier. 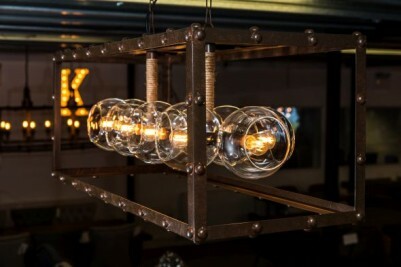 This has a minimum charge of £45.00; however, you are very welcome to collect from our premises in Burntwood, Staffordshire.